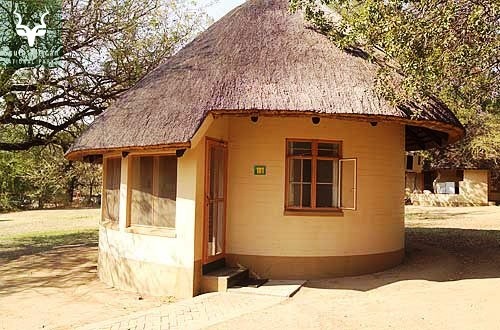 Your accommodation must continue the authentic African safari experience and the Kruger Park’s rest camps certainly do this. 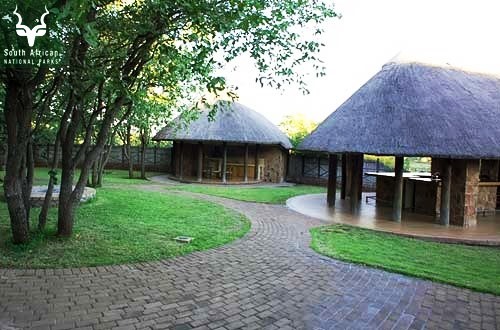 Scattered within the park is a wonderful diversity of rest camps and a range of accommodation to choose from. 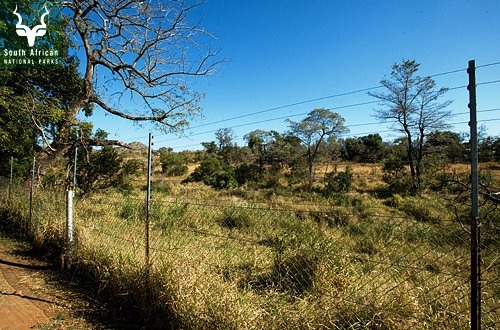 Only a fence separates you from the wild African bush. 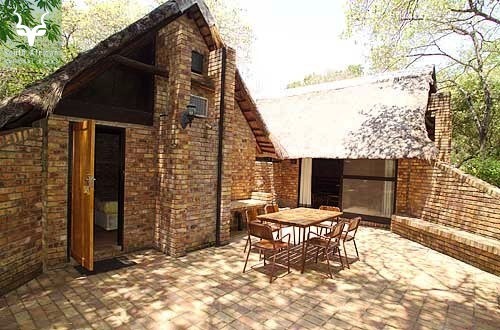 You are completely and utterly remote, yet have the creature comforts at hand if and when you want them. 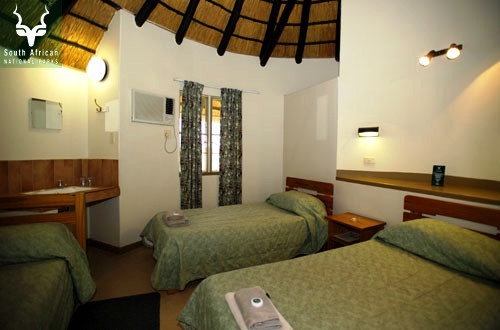 Your choice of accommodation depends on the level of comfort and the experience you require. 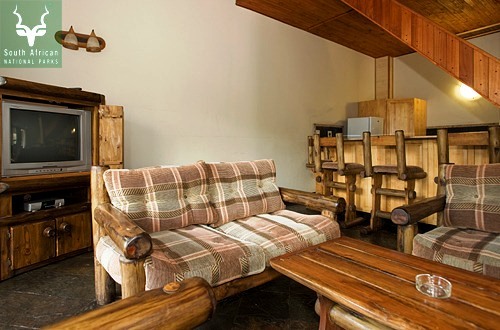 Want a rustic experience? Something more exclusive? Family accommodation? You will find just what you want. 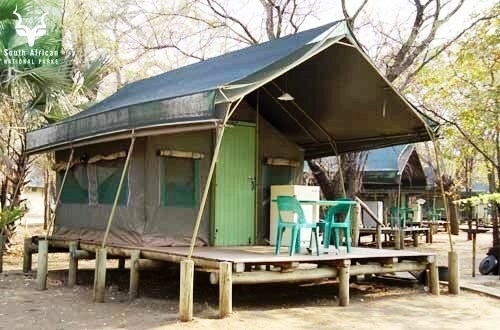 The rates depend upon the time of year (high or low season), the rest camp, as well as the particular accommodation’s location within the camp site. 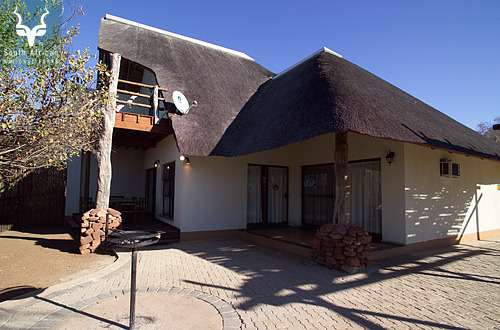 We will help guide you to choose the accommodation that suits you best. 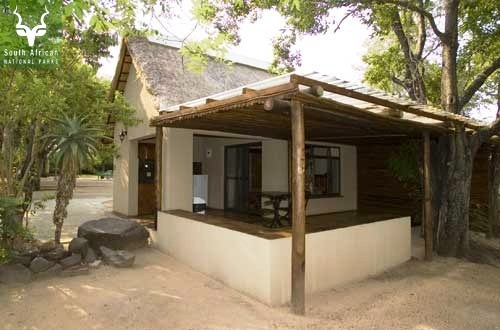 We make all the bookings, arrangements and confirmations on your behalf and provide you with the itemised confirmation issued by the Kruger Park. 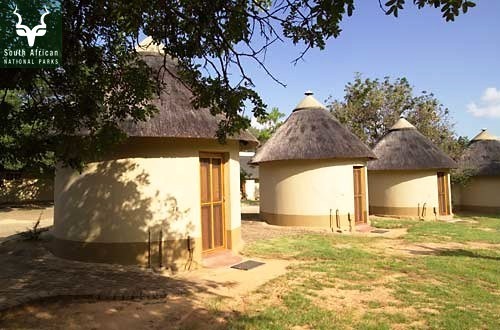 These are rustic African-style round single room units with communal kitchen and communal ablution facilities. 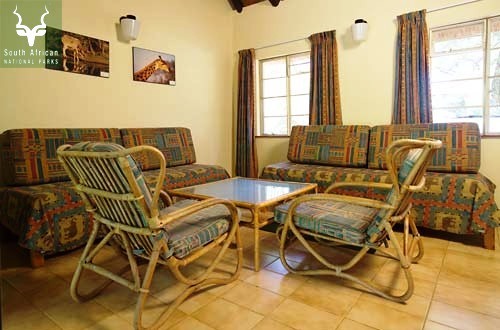 Units are fitted with ceiling fans. 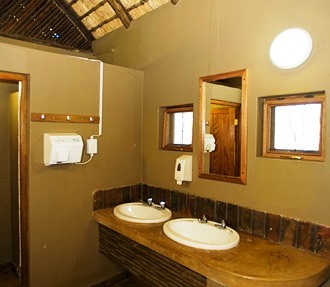 Single-room units with a bathroom (shower and toilet). 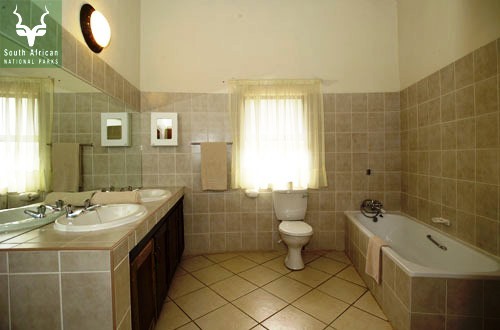 There are 2 or 3 beds per unit with an en-suite shower and toilet. 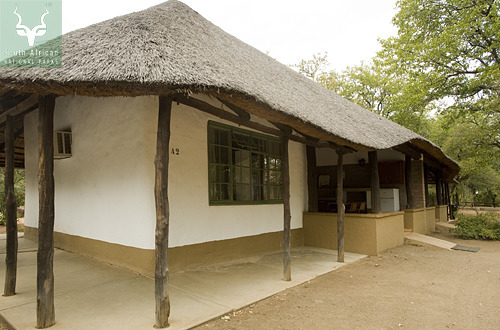 Some bungalows have communal kitchens while others have own kitchenettes with basic kitchen equipment. Some have perimeter or river views. 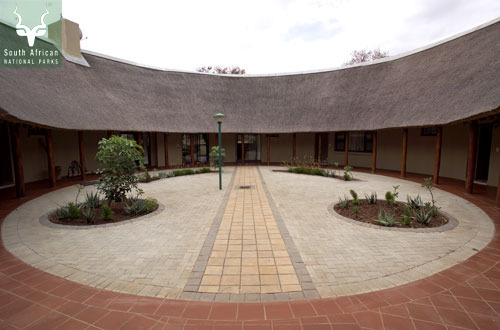 All the units are air-conditioned. 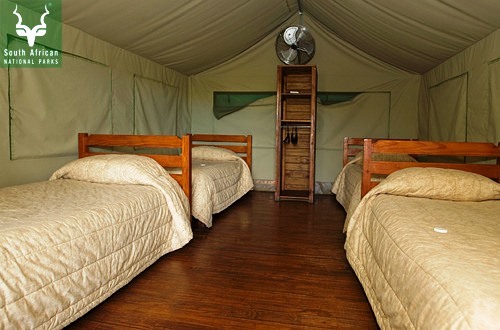 Permanent canvas tent bedrooms on permanent platforms. 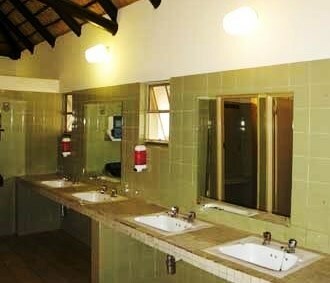 Some have communal kitchen and communal ablution facilities, while others are fully equipped and have more luxurious trimmings. 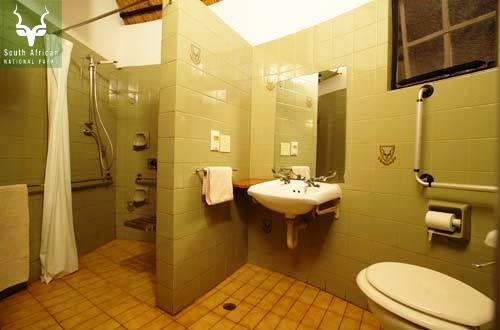 Multiple or single bedroom units with a bathroom (shower and toilet). 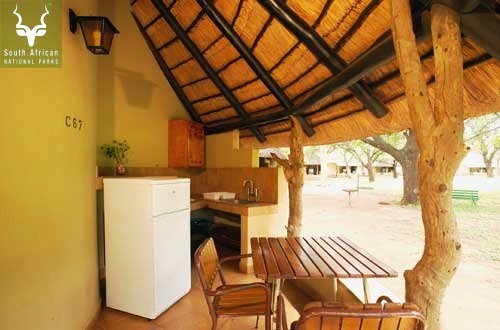 The units have an open plan kitchen/dining/living area. 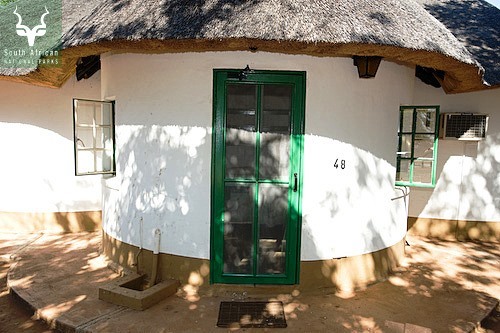 All the units are air-conditioned. 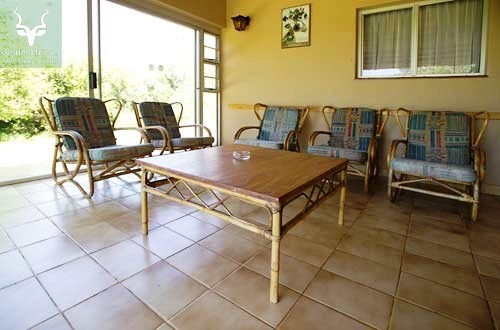 These are large luxury units in prime positions with an exclusive view. 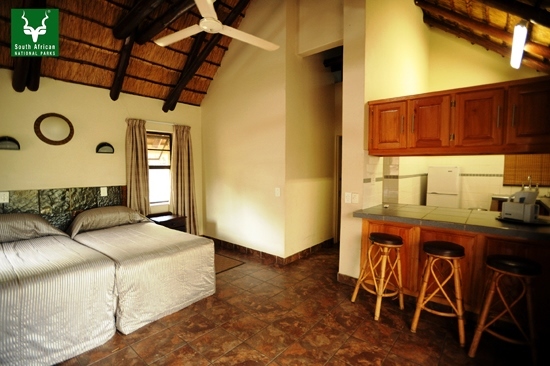 They are multiple bedroom and bathroom units with a lounge area and often with bar facilities. 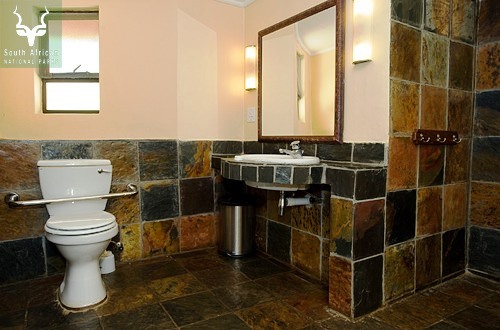 Television is provided with limited channels. All the units are air-conditioned. 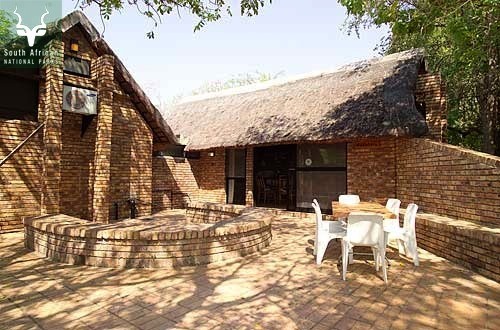 They offer you an amazing mix of being remote and secluded, surrounded by nothing but wild African bush, but at the same time providing excellent restaurants, a swimming pool, interesting info areas, and well-stocked curio shops that are fun to browse for keepsakes. 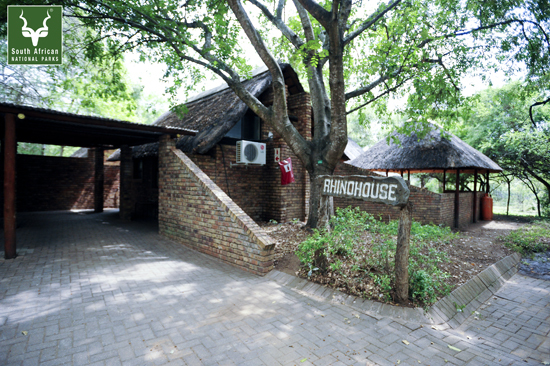 The larger camps have small but fascinating museums and libraries. 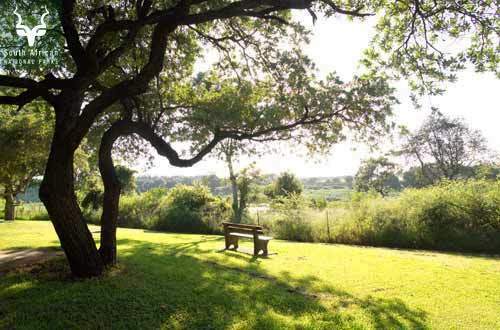 All the camps have lovely benches and areas where you can loaf away the hot midday hours under a tree, staring out into the bush, looking, watching and listening. 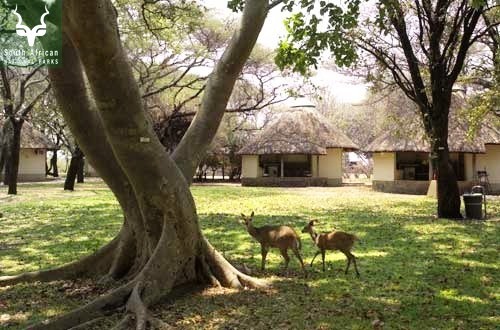 And walking the perimeter of the camp is an excellent way to walk off meals and enjoy the feeling of staying in a place that is separated from the African bush by a mere fence! 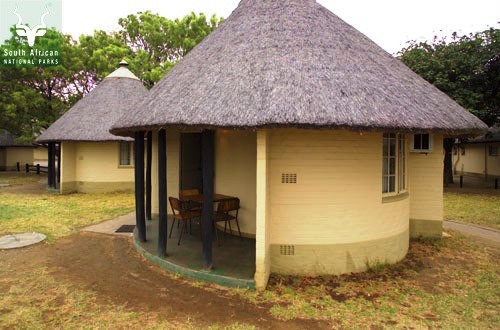 Berg-en-Dal is situated on the banks of the Matjulu River with views over the river and beyond to the granite hills surrounding the camp. 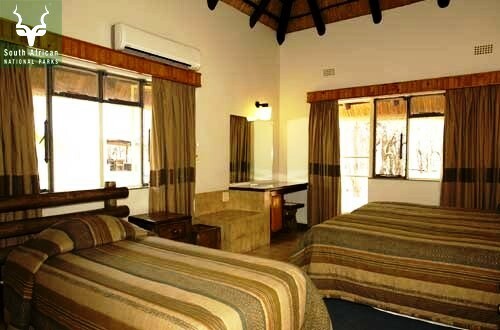 The area is renowned for its healthy rhino population as well as the many and varied game drives in the area. The steep granite hills in the area offer spectacular scenery with many species found nowhere else in the park. 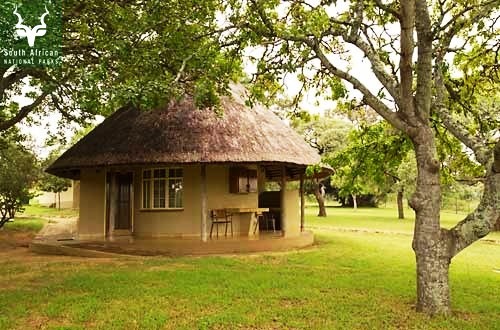 On the banks of the Biyamiti River, nestled in the mixed woodlands, lies one of the most secluded bushveld camps in the Kruger Park – Biyamiti Bush Camp. 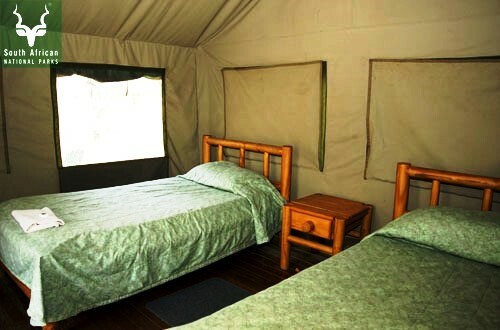 It is a small and intimate camp with the Biyamiti River flowing past the camp. 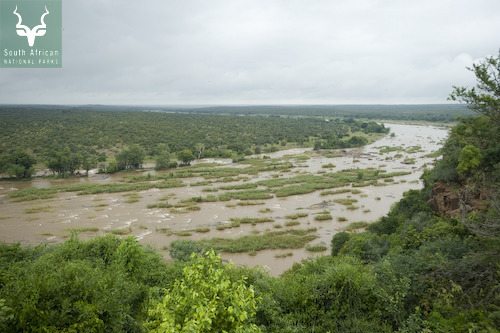 It is a seasonal river and is usually dry, but that does not diminish the prolific birdlife and game-viewing in the area. 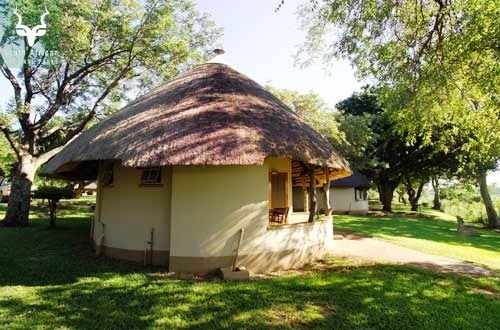 One of the older camps Lower Sabie is a firm favorite for seasoned visitors. 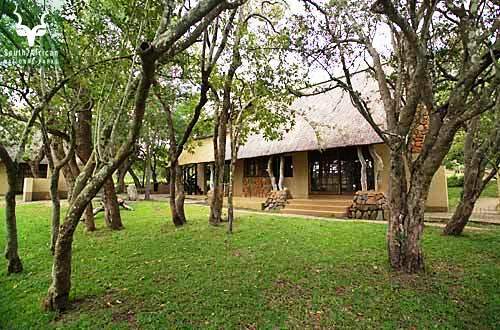 Situated on the western bank of the Sabie River in prime game-viewing territory it is easy to see why. 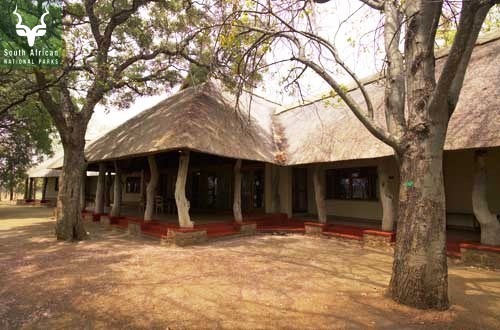 With a restaurant and deck overlooking the river one can relax here watching the hippos and crocs as well as the endless procession of animals coming down to drink. 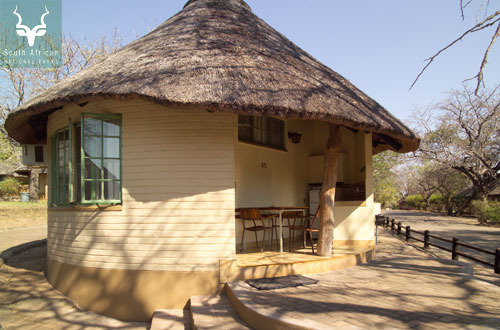 A small and charming camp situated in the south-eastern corner of the Kruger Park on the edge of the Crocodile River. 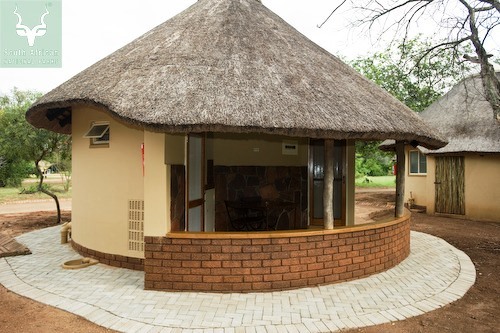 North of the camp lies some of the best game-viewing areas in the park – from general game through to predators while safaris along the river will reward the visitor with excellent bird-watching opportunities. 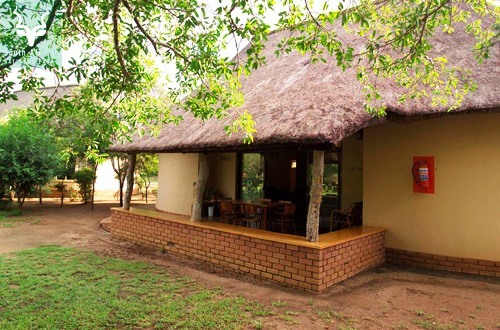 Letaba lies on the southern bank of the Letaba River and has wonderful views over the sandy riverbed. 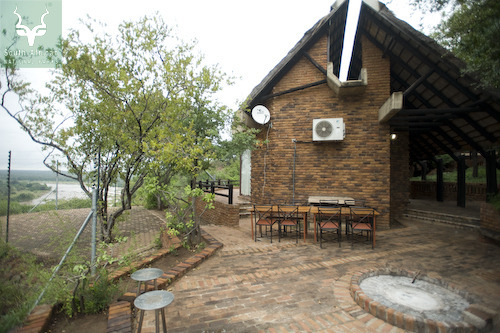 From the restaurant on will likely see elephants, buffalo, hippo and other animals come down to drink. 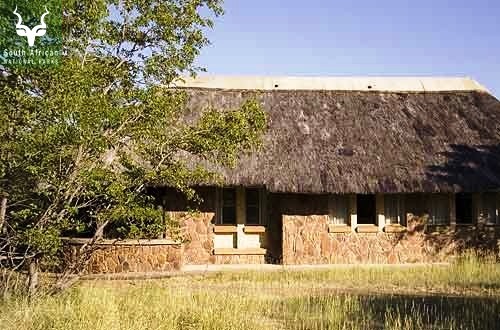 The surrounding bush is mopaneveld with tall riverine trees along the river and more open plains to the north. 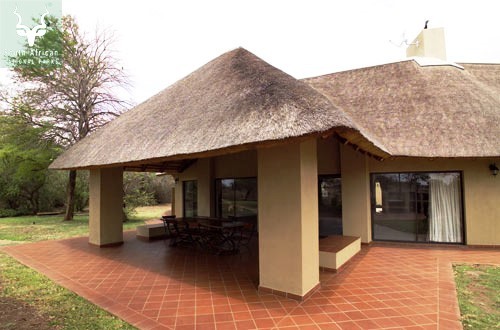 Game viewing in the area is rewarding – especially for the large herds of elephants and buffalo. Lion and leopard are often spotted hunting near the river. 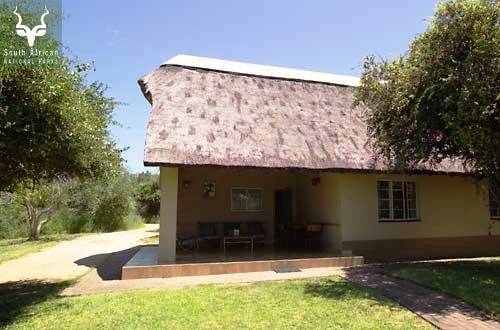 Situated on a hill overlooking Pioneer Dam, Mopani is a perfect camp from which to explore the mopaneveld plains. 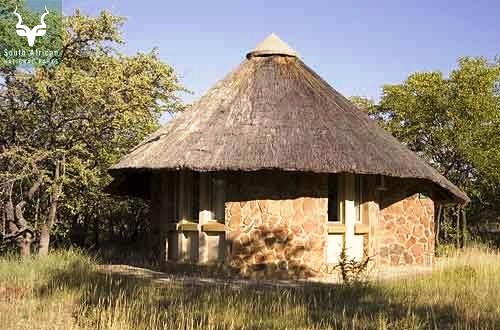 From the camp one can witness herds of buffalo and elephants coming down to drink along with a rich array of birdlife. 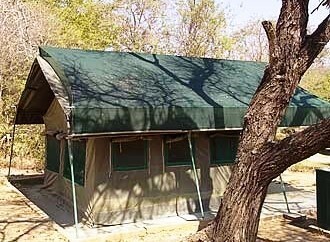 This is the start of baobab territory as well and there are even a few giants in the camp itself. 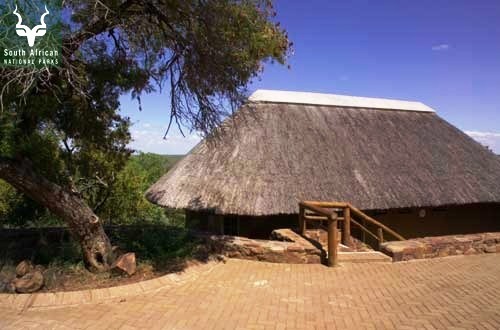 Perched high above the Olifants River on a ridge this camp offers splendid views in almost every direction. 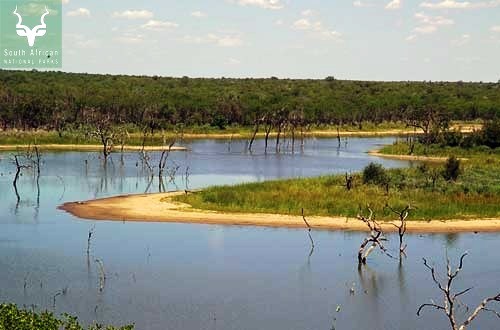 Wildlife is prolific in the dense riverine vegetation and there are invariably elephants, crocs, hippos and buffalo on the river banks. 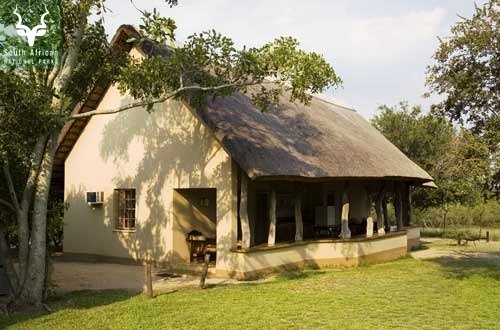 Ideally located in the middle of the Kruger Park safaris can easily go to the grassy plains in the south or head north to explore the rugged mopaneveld. 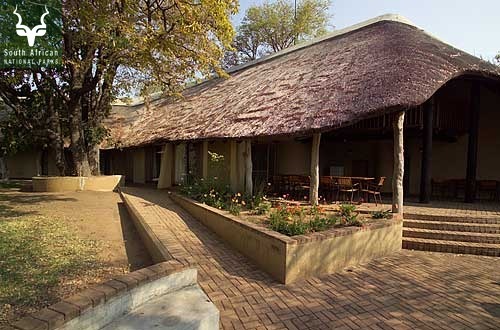 Orpen is situated centrally on the western border of the Kruger Park. 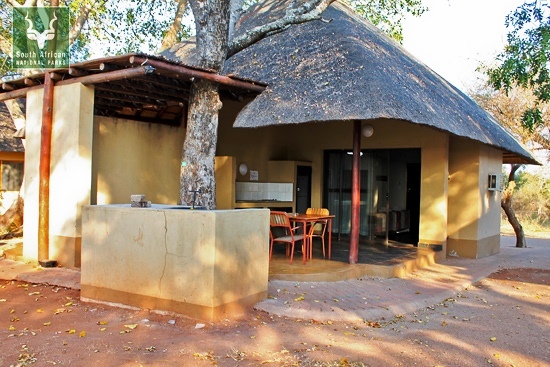 The proximity of the Timbavati River means that there is usually reasonable animal activity in the area, particularly in the early morning and late afternoon. 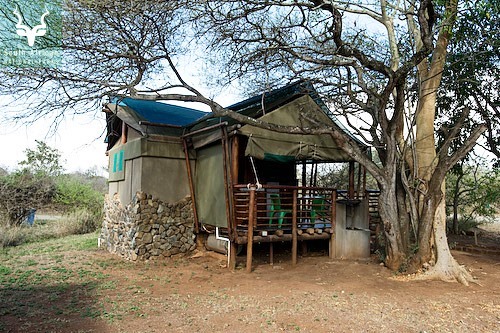 This small camp is situated in renowned lion country and safaris here are always fruitful. 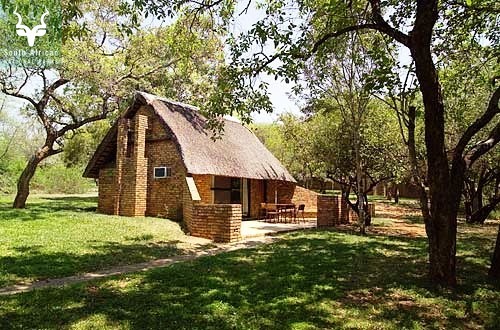 Pretoriuskop is the oldest camp in the Kruger Park and with shady trees and charming atmosphere makes it a firm favourite for many. 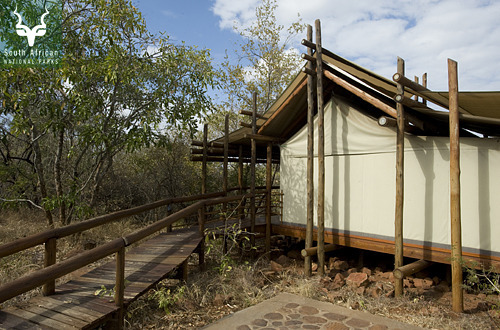 Situated at a higher altitude than the rest of the park it experiences much milder weather than the other camps. 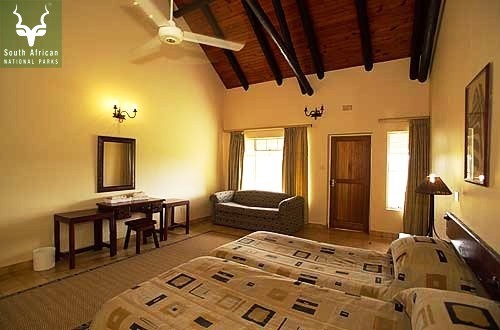 Punda Maria is a small, intimate camp situated in the hilly sandveld region and is often described as the botanical garden of the Kruger Park due to the high number of tree species found in the area. 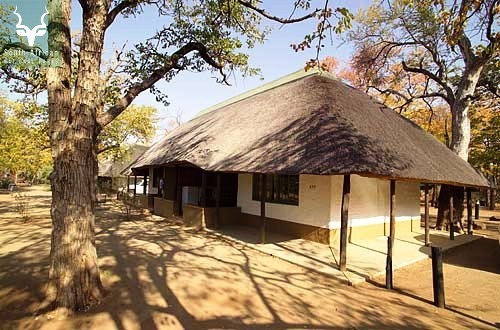 This camp makes a perfect base from which to explore the far north of the Kruger Park. 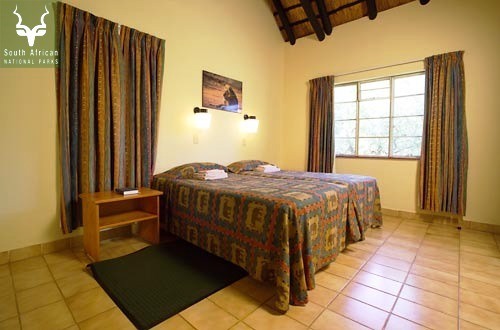 Within the camp there is the Flycatcher Trail – perfect for birdwatchers. 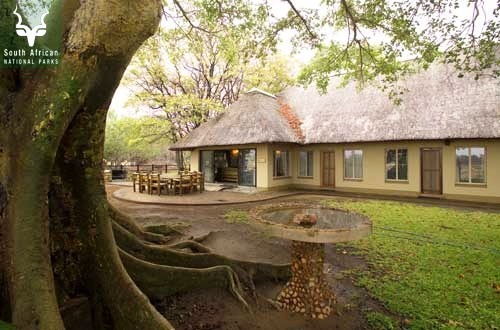 While typical Big 5 sightings are not as common as elsewhere the birdlife, trees and scenery more than make up for it. 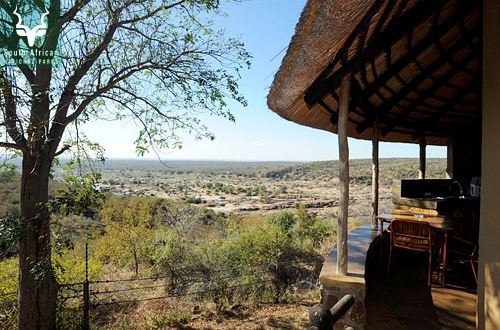 The open grassy plains around Satara make it one of the best spots in the Kruger Park for game-viewing. Satara has earned a reputation for its big cats. 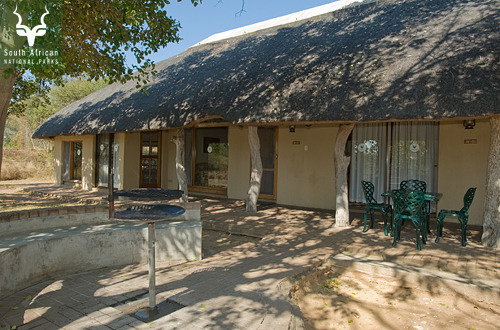 Huge numbers of zebra, giraffe, wildebeest and other antelope occur here on the wide open grassy plains. And where you find these then lions, cheetah and leopard are not far behind. 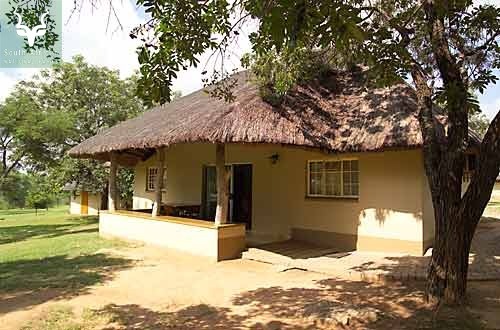 Shingwedzi lies at the heart of the dry and rugged northern plains of the Kruger Park. 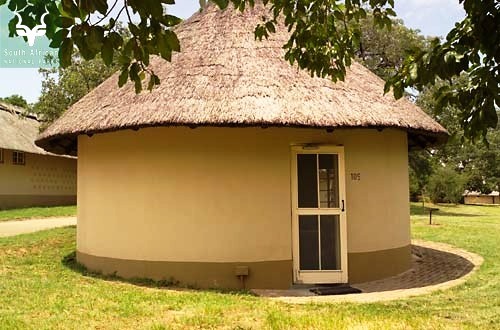 One of the oldest camps it retains a sense of old Africa. 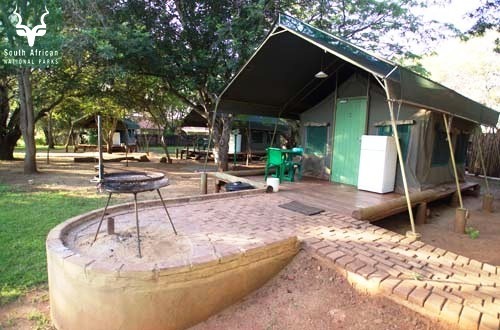 There are charming views over the Shingwedzi River from the camp. 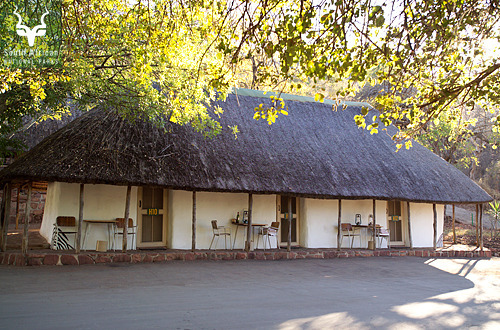 The roads hugging the Shingwedzi River offer some of the best chances of spotting the elusive leopard while the entire area is home to some of the largest elephants found in the park. 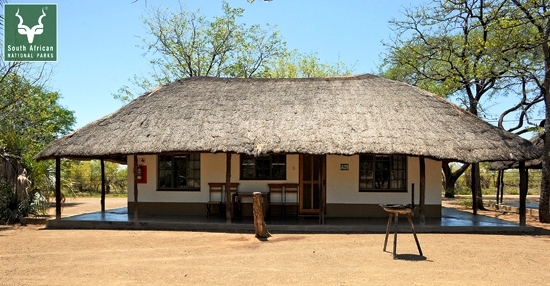 Skukuza is the Kruger Park’s largest camp and its administrative headquarters. 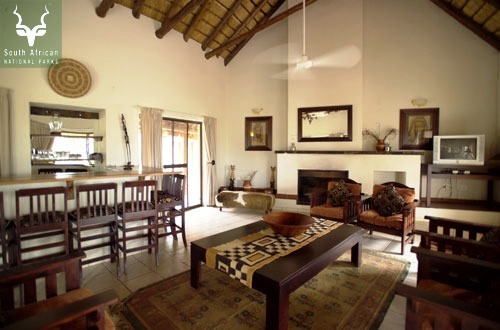 Its large size must not mislead you – Skukuza is situated in prime game-viewing territory. 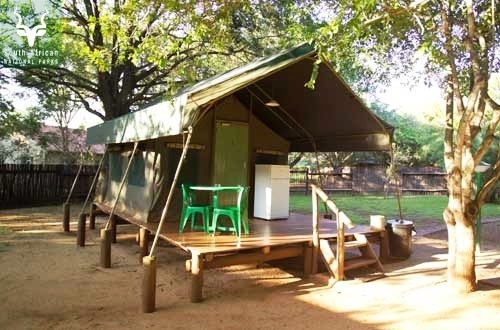 Set on the southern banks of the Sabie River this camp gives the guest ample opportunities. 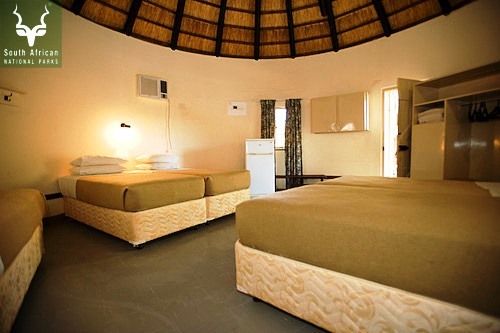 A perfect camp for those wanting great safari sightings while still having the comforts thrown in.